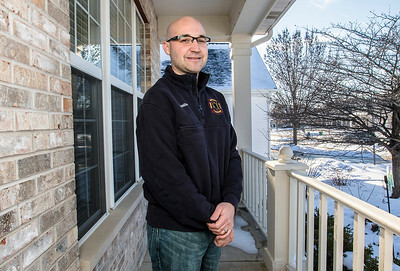 Sarah Nader- snader@shawmedia.com Jerry Schillaci, a McHenry firefighter paramedic, poses for a portrait at his McHenry home Thursday, January 14, 2016. 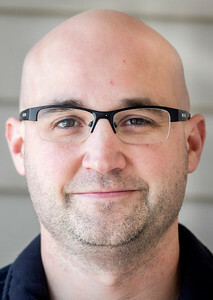 In addition to his firefighter and paramedic work, Schillaci is an instructor for the Learn Not To Burn elementary fire prevention program. 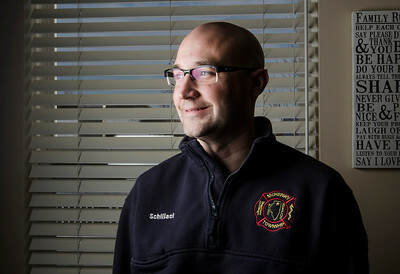 Jerry Schillaci, a McHenry firefighter paramedic, poses for a portrait at his McHenry home Thursday, January 14, 2016. In addition to his firefighter and paramedic work, Schillaci is an instructor for the Learn Not To Burn elementary fire prevention program.